Cloud computing Infrastructure as a Service (IaaS) can provide nearly unlimited on-demand capacity for scale-out applications and can be implemented with an extraordinarily low upfront investment when compared to traditional IT. This allows your business to respond with IT capability in a fraction of the time it takes with conventional IT, invest in capacity only as-needed, and reduce the risk of investing upfront in compelling business opportunities that are in test-market phase. Software-as-a-Service (SaaS) enables your organization to deploy business applications to users quickly and easily at a low incremental cost per user and without the need to manage underlying IT infrastructure. Platform-as-a-Service (PaaS) provides you the ability to develop applications targetted to a simplified platform rather than directly to IT infrastructure you must maintain. The complex and fast-changing nature of solutions for infrastructure, platform, and software cloud computing can be overwhelming. 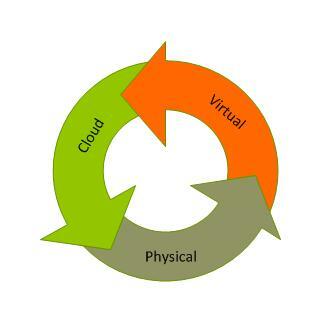 Cloud computing environments can involve new software development languages, application programming interfaces, and techniques; new approaches to storage; and an array of paradigm shifts in system administration, security, operations, and maintenance. Building and maintaining the staff and expertise in-house for these new initiatives can be difficult and costly. Cloud Approach consultants are industry-leading experts ready to help your organization in all phases of implementation including cloud software development, migration and transition, system administration, establishment of cloud development, testing and staging environments, and much more. Our team offers implementation services for major cloud vendors and virtualization platforms including Terremark, Amazon AWS, CloudSwitch, Rackspace, Microsoft Azure, Force.com, Salesforce.com, Google App Engine, OpenStack, Eucalyptus, VMware, EMC, Cisco, NetApp, Citrix, Hadoop, Tricipher, and others. 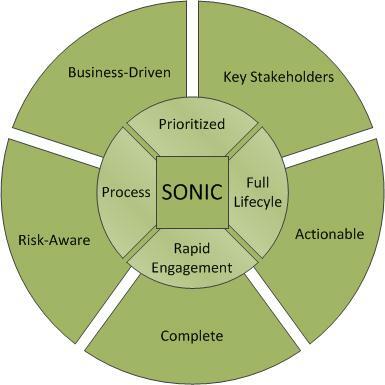 Working with your organization, Cloud Approach experts and the SONIC framework complete a winning team-- together we can leverage cloud computing to transform IT and maximize your return-on-investment.